One-size cloth diapers are a great option if you don’t want to keep buying new sizes as your baby grows. 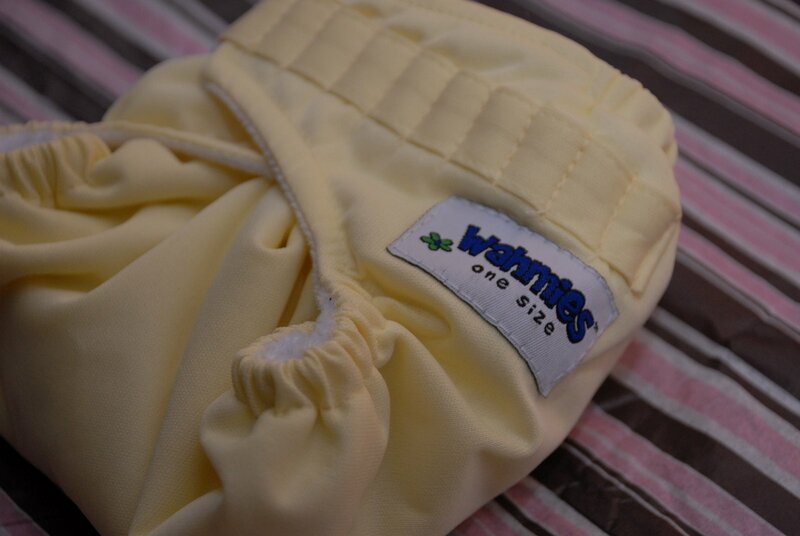 The DryBees company that makes the Wahmies brand of diapers sent me an one size pocket diaper to try out. It’s the most unique diaper we’ve ever seen, with hooks instead of snaps or Velcro that allow for adjusting the diaper. Though this method takes more time than snaps or Velcro, we’ve found that it does allow for one to completely fit the diaper to her baby. No more worries about finding a diaper that will fit your skinny or chunky baby! 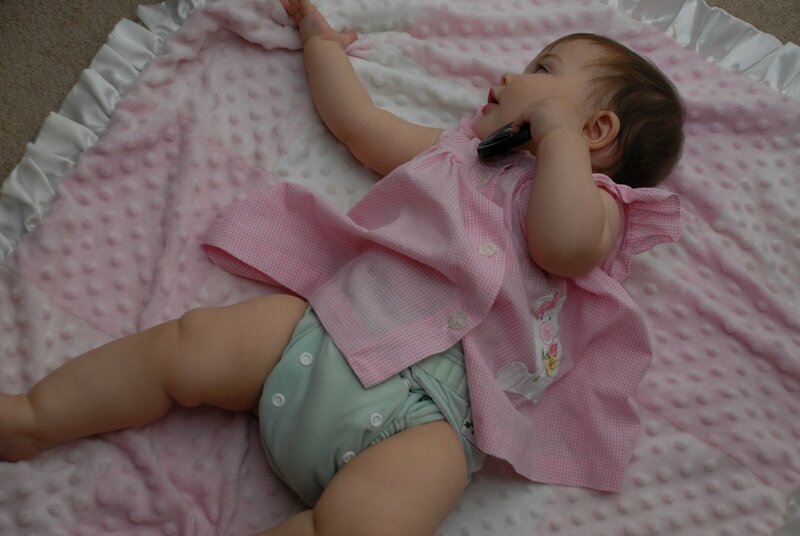 Velour fabric is used on the inside of this diaper, providing a super soft feeling against the baby’s skin while making her feel dry at the same time. The outer layer of the diaper is waterproof PUL, so you don’t need an extra cover for this diaper, either. 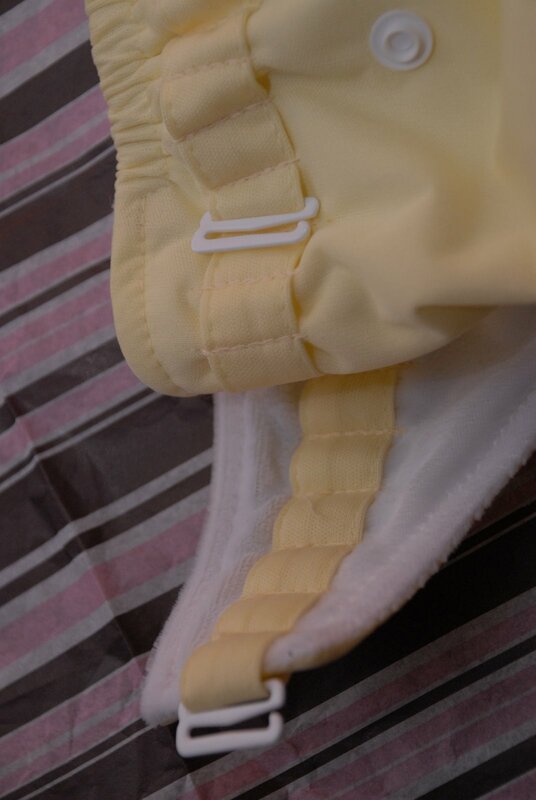 There are 4 settings to adjust the rise on this diaper (snaps), and dozens of loops to allow for adjusting the waist/leg area. As I said before, the loop thing takes longer to do and is trickier to put together than other diapers, but this also means that your toddler won’t be able to figure it out or have the dexterity to undo her diaper! You will need an insert for this diaper since it doesn’t come with one. 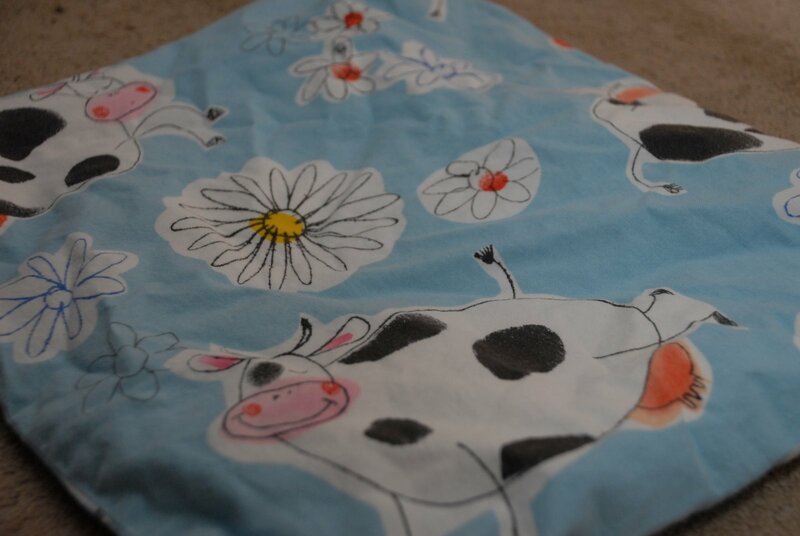 The ones I’ve seen that can be purchased with this diaper are microfiber or hemp ones (both of which type we’ve used with success in this diaper by the Pocket Change brand)–$3.00 for two microfiber and $8.00 for two microfiber/fleece combos. 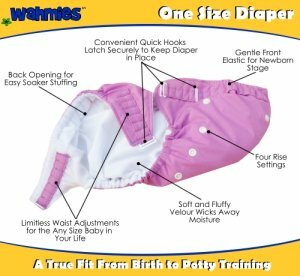 I didn’t find this exact diaper’s information on their website (they only seem to have snap/velcro diapers listed), so you will need to google “Wahmies one size diaper” and then choose a retailer that you like in order to purchase a One Size diaper. It costs about $18.00 without an insert–pretty good, considering you shouldn’t need any diapers bigger than this! Overall, I think this is a great option for babies who are hard to fit, like taking their diaper off, or for parents who want a One Size diaper! DryBees also sent me a super cute Wahmies wet bag to review. I love it! It has a nice fabric outer, and a white waterproof inner layer (so two layers total). The zipper works fabulously, and the size easily holds enough diapers for an entire day at Grandma’s. We’ve used it for a few months, tossing it into the wash with our regular diapers. The craftsmanship has held up great, and we’ve never had any leaking issues! DryBees graciously sent me a butter colored One Size diaper for me to give away to one of my readers (up to a $19.00 value). If you’d like to try this diaper, all you need to do is visit the DryBees website and tell me about another product of theirs that you liked, or something that you learned about them. Come back and leave me a comment with your mailing address! A winner will be chosen after 3:30pm on August 7th. You will need to contact me back within 72 hours of being notified, and must have a valid email address on your entry’s comment (post an email address, not your mailing address!). – Anything else that spreads the word (let me know)! Please only enter if you have a US mailing address, or be willing to pay for shipping. I love the DryBees Night Times and would love to have one of these too! I think I'd like to try the DryBees fleece nighttime dipe. I love the DryBee's Gone Natural Bamboo and I think it is soooo awesome that you can dye them without voiding the warranty!! I like the lacies dipes!